Awarded the Financial Mail Adfocus Medium Advertising Agency of the Year award at the end of 2016, AVATAR’s client list includes Caltex, Fox International channels, SAA, BrandSA, SAB, and Unilever amongst others. 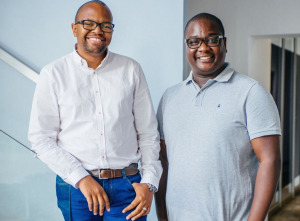 Founded by Zibusiso Mkhwanazi and Veli Ngubane in February 2012, Mkhwanazi and Ngubane will retain the majority shares of AVATAR, thereby making the share swop a first on the South African agency landscape, as it is the first time that a company of AVATAR’s size and structure will become part of another entity without sacrificing its independence. “The share transaction we’ve concluded with M&C Saatchi Abel is a step we’re taking in order to continue driving our goal to establish South Africa’s largest integrated communications group – a dream we‘ve had since we founded AVATAR five years ago. Taking a share in M&C Saatchi’s local operations will benefit our deal flow and open solid African expansion opportunities,” says Mkhwanazi, CEO of AVATAR. AVATAR has grown at a rate of some 100% year-on-year for the past four financial years, which means that they are outpacing the average agency growth rate for this market and growing market share. All businesses will remain independent at board and executive level, but Mkhwanazi will become the group CEO of Avatar360 Group and AIH as of February, and is now tasked with focusing on expanding the group structure and positioning, as well as the integration between the agencies and overseeing shared services. Mthunzi Plaatjie who joined the group as MD of Cape Town will now oversee AVATAR’s Cape Town and Durban-based clients. For more information, visit www.avataragency.co.za. Alternatively, connect with them on Facebook or on Twitter.